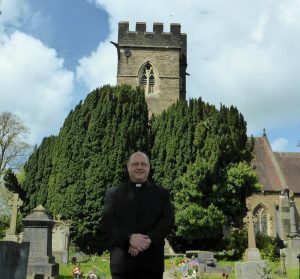 It is a homecoming for the new Rector of Whitchurch as the Revd John Davis returns to his Cardiff and Llandaff Diocese roots. 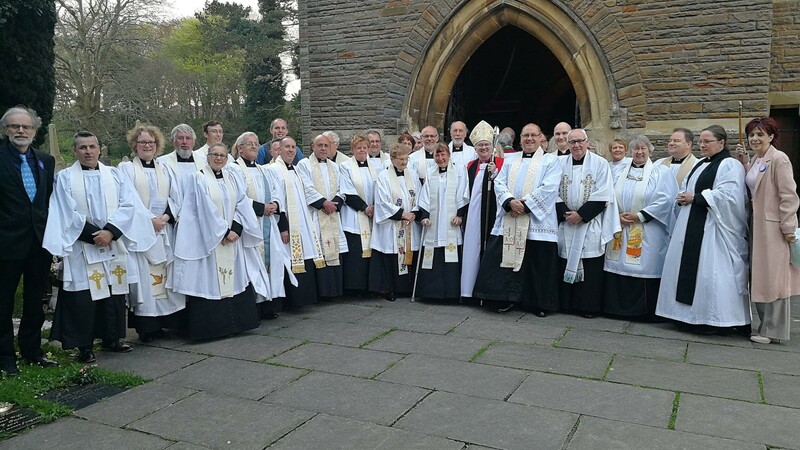 For John, who took up his new post last week after being licenced by Bishop June in a special service at St Mary’s Church, Whitchurch, grew up in nearby Grangetown. Indeed, it was while walking past St Paul’s Church in Grangetown as an 11-year-old boy while the railings were being painted and asking if he could help, that first led John on the road to ministry. “No one else in my family went to church but before long I’d joined the Sunday school and the choir and within a few years I started the youth club that is still running today,” said the Rector. After school and university, John became a teacher working in schools in the Vale and Barry, but all the while knowing he would eventually enter the priesthood. Within months John had left teaching behind and was studying at theological college in preparation for ordination as a priest. 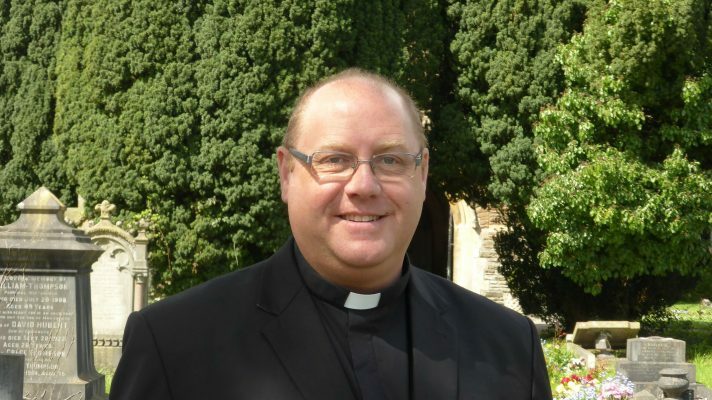 He served his curacy in Porthcawl from 1996 and was also the Diocesan Children’s Officer for two-and-a-half years until 2000, when he left to become vicar in Tredegar in the neighbouring diocese of Monmouth. Married to Sallyann, a teacher, with whom he has three teenage children, John now returns to Llandaff after 18 years as Vicar of the parish of St George and St James, Tredegar. 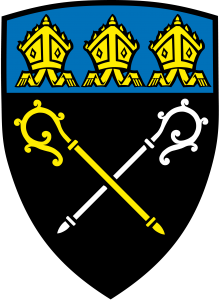 As well as overseeing a major £460,000 repair and reordering project at St George’s, John also built up a comprehensive lay team within the parish which included lay eucharist ministers and a children’s ministry team. He takes over as Rector of Whitchurch from Canon Chancellor John Rowlands who retired last year after serving 20 years in the benefice. Despite a team of clergy working with the four churches in the benefice, John is determined to be a visible presence throughout. With that in mind he has already made the Rectory in the centre of Whitchurch more visible by having some huge conifers which were hiding it from public view removed from the front garden. “I’m really looking forward to getting to know everyone here, it’s a busy benefice with lots going on including pastoral visiting and lay involvement which I’m keen to encourage,” he said. This was posted on 3 May 2018 and updated on 10 May 2018.